Tanah Lot temple located around 20 km distance from the capital city denpasar, consider one of the most visited on this island, can say most popular temple to witness sunset on the Indian Ocean, breath taking view !. Exploring tanah lot temple, you need to arrive around 5:00 pm, so got some time before you watch the kaleidoscope of colors as the sun sets to horizon. Make donation and touch the holy snake and get bless by holy water at spring water at the cave below the temple will complete your Bali Tour experience here. Besakih or the mother of all temple in Bali island, this consider the most biggest and important temple around Bali Island. 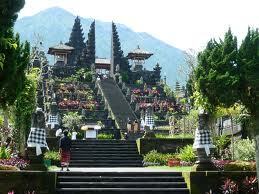 This temple located on the slope of mount Agung is about 2 hours drive from Denpasar city. The temple was founded in the late century, since that time it has under gone several major renovation. Balinese Hindus believe that the holyspirits and the ancestor live there. Suggestion visit this historical temple during your bali tour, early in the day since in the afternoon and evening is easy to get rain and cloud coverage in this area. Uluwatu temple is built on the rock, approximately 80 meters above sea level at stony end of Bali island. 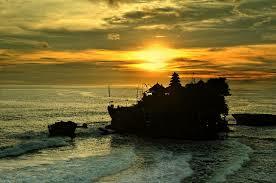 Uluwatu temple is one of the most sacred places of worship for Balinese,Hindus people. This temple is a unique example of traditional Balinese architecture. Attention during bali tour visiting this temple is naughty monkey, they often grab you bags of your other thing (colourful color) don’t feed them as they will get greedy sometimes. Enjoy the stunning view of sunset at indian ocean here. If you are lucky you may spot some dolphins and turtles at the sea below. Sunset is a must to see here, sunset at 06:15 bali time. Don’t forget to watch kecak dance during the sunset time, amazing dance with great natural stage. Taman Ayun temple has strong relation ship with ulundanu temple on the lake beratan, since both of this temple was built by the same king and almost same era. this temple is royal family temple for king family and its people. located at mengwi district is about 18 kilometer north of Denpasar city. this temple builton very nice landscape and surrounded by man made moat. 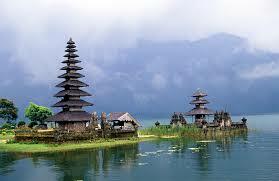 this beautiful temple to visit during your bali tour. Taman Ayun derive from word “Taman = beautiful park and “Ahyun= mind” so taman ayun means beautiful park to rest the mind, connecting to the god. Located at klungkung regency about 40 kilometer from denpasar city. situated northwest of semarapura town, built around 18th century. Ceiling paintings means to show the punishment for those accused of doing bad thing or commit a crime by Royal High Court, name ” Kerta Gosa” or Kerta Goshita. 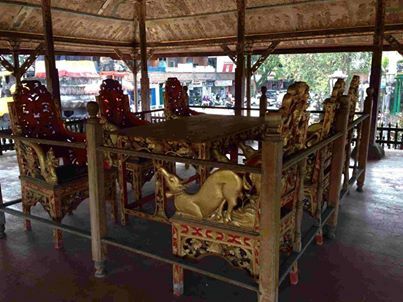 The painting were original done in the middle of the 19th century nd renewed by popular Balinese in 80’s and 90’s including individual panels made from asbestos. Batuan temple is village temple dedicated to Wisnu and Brahma God, this temple built around 944 isaka ( lunar calender). Detail of the carving found on this temple is amazing, this temple is divided by three section are outer section for parking, food stall, toilet etc. Middle section is for waiting section, during temple festival will packed by pilgrim also here will have some performance it normaly taken from Hindus religious epic (maha brata or ramayana) and the last one is the inner sanctum, the center of the temple where people do the prayers. This temple still use until today and this temple is well maintain. 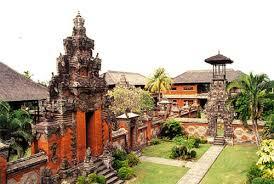 This is the largest museum in Bali island, located in the centre of denpasar city. 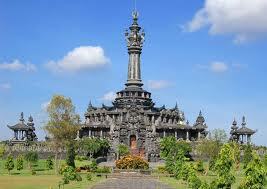 Consider the must see museum in Bali, special for culture lover!. This bali museum built in 1932 by dutch, it contains a massive information about Balinese culture including great selection of dancing mask. This monument completed the lovely park of civic center renon. It boast a panoramic view of denpasar from the second floor, it also contain an exhibition about history, Balinese struggle, religion and heroes from the prior history, history until presents. there still other 1000 of places available to visit during your bali tour in Bali Island, temples tour also can combine with other activities to make most of yours stay is memorable in Bali. 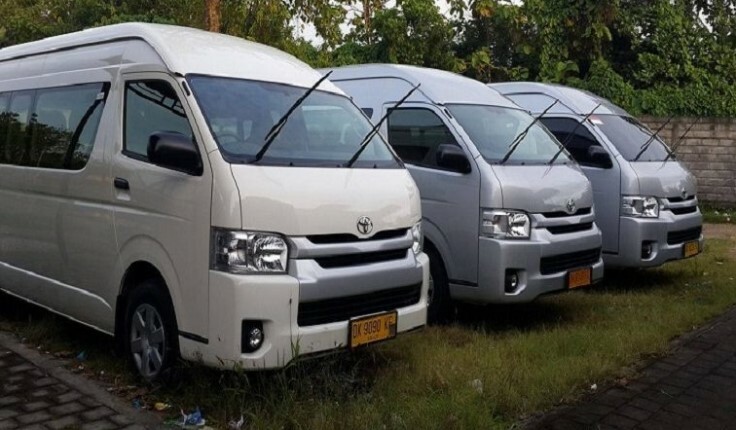 for more detail about places of interest and special Bali Tour package you may also visit this site www.bali-agung-tours.com (whatsapp: +6281338667808 fast response) hoping that you can find information or special offer there. Happy Bali Tour !